Good farmers make hay while the sun shines. Good distillers seize the chance to transform surplus produce into delicious spirits. A lively vodka with a hint of sweetness, Haymaker's is made from fresh California apples and potatoes that are mashed, fermented, and six-times pot distilled in Ventura, CA. Wilder Gin is distilled with wild-harvested, native California botanicals including sagebrush, purple sage, bay, yerba santa, pixie mandarin peel and chuchupate. This dynamic mix of the wild and the cultivated bursts with fresh, savory aromas, like taking a walk through the mountains of the central coast. Drink Wilder straight, or use it to bring out the wilder side of gin cocktails. This is not the Queen’s gin, it’s Wilder. Opuntia is a prickly pear spirit, made from the fruit of the Nopal cactus. Its flavor is as singular as tequila’s, an invigorating balance of fresh fruit and desert earth that is all its own. 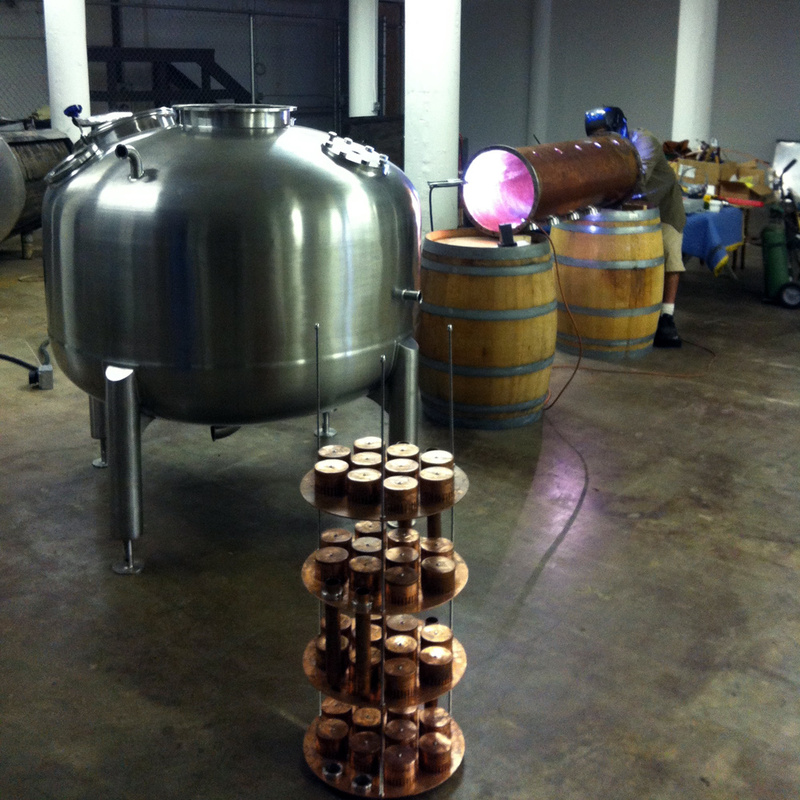 Over a ton of sun-ripened California fruit is fermented into wine and then distilled in each batch. This is a new spirit tradition that belongs to California. Distilled from California strawberries whose imperfections kept them off store shelves, our one-of-a-kind brandy is aged for two years in neutral French oak casks. The result is a dry character with a lovely strawberry aroma and notes of honey and dried fruit. It's our way of using surplus produce to create something sustainable and delicious. Ugly fruit, beautiful brandy! From the day we began designing and building our still in 2011, the Ventura Spirits mission has been to use the natural and agricultural bounty of California's central coast to hand-craft novel and delicious spirits. We're driven by a sense of exploration and discovery, and we're passionate about creating liquors with inputs that are unexplored or underutilized. We aim to contribute to a regional spirits tradition with extraordinary new products that foster a strong appreciation for our area of the world. All Ventura Spirits are a sublime mix of the wild and the cultivated. Our approach to distilling constitutes a challenge to ourselves and to our customers-- to be more curious, more creative, and better consumers of distilled liquors, to strain against the status quo and assemble new inputs and combinations in a delightful and authentic way. To stay informed about special events, distillery tours and tasting opportunities join our mailing list below. We promise not to overload your inbox! We will only send you an email when there's actually something interesting for you to know about. For tours, sales, press or sponsorship inquiries please go to the "Contact" page.